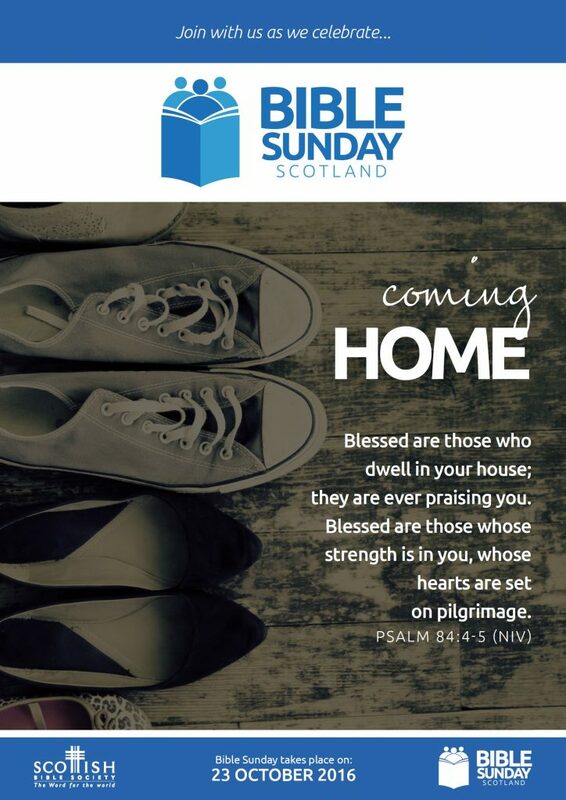 Here at Troon Old, Bible Sunday has become Bible Weekend, as we host a Scottish Bible Society coffee morning on Saturday 22nd, before marking Bible Sunday proper on Sunday 23rd October. Bible Sunday is a day when churches across the UK celebrate God’s Word and the continuing impact the Bible has on individuals and communities. Before that, on Saturday, the SBS Troon Action Group is holding their coffee morning from 10 am till 12 noon. As well being an opportunity to enjoy tea, coffee and a selection of goodies, there will be stalls selling home baking, books, paintings by a local artist and a selection of Bible Society materials. Admission £2 in aid of the Scottish Bible Society.